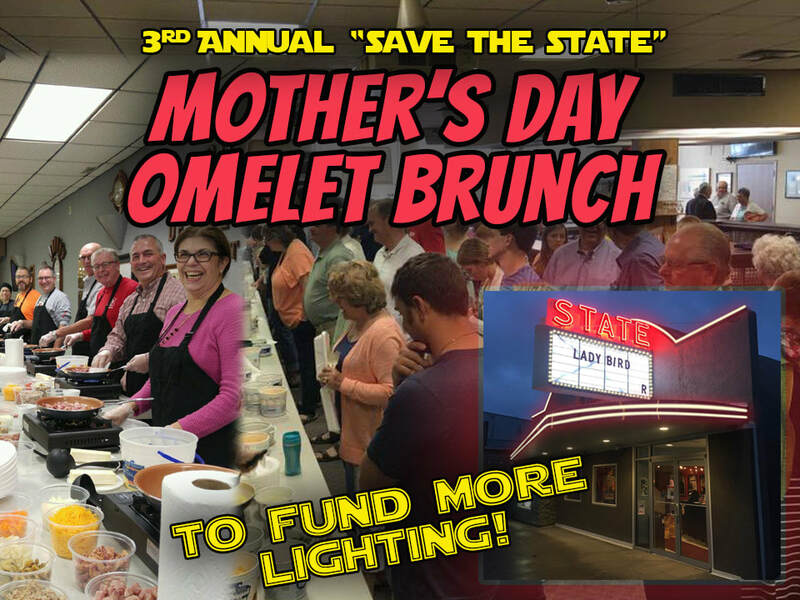 Help us "Save The State" as we continue to renovate and improve our movie theatre. Tickets available starting April 2018 at The State, Spirits, Stogies & Stuff, and Vollmar Motors. Get a free Medium Popcorn coupon when you buy your Omelet brunch ticket! ​See our past Omelet Brunch events on our Facebook Page!